The best military history events, lectures, and exhibitions. The University of Southampton will be holding its Sixth Wellington Congress from 10 to 12 April 2015. Keynote speakers will be Rory Muir, Roger Knight, Will Hay, and Chris Woolgar. Papers will focus on a range of topics covering both Wellington’s military career and the battle of Waterloo as well as political, social, and literary topics. On the Friday evening there will be a concert of music from the period. Saturday will feature a BBC Battles, Waterloo 200 presentation, a private view of the Wellington and Waterloo exhibition in the Special Collections Gallery, Hartley Library, and a conference dinner. The University’s Hartley Library is the home of the first Duke of Wellington’s archive, and the meeting will include opportunities to see the collection, as well as a programme of social activities. The event is organised in conjunction with the Southampton Centre for Nineteenth- Century Research. This is Europe’s largest event of its kind: the stock Militaria Ciney will celebrate its 60th event this April. The fair has had two meetings a year for 30 years, and each time thousands of enthusiasts and collectors from all over Europe flock to the inside of the covered market. The events take place in the great hall of CineyExpo and under the marquees which are specially put up for the occasion in the large car park. There is a total of 4.5 miles of tables with over 500 exhibitors. weapons on display, ranging from the most recent to the oldest. Ammunition is strictly prohibited. The excellent reputation of the event is in strict compliance with legal obligations in the matter, and is subject to spot checks. The event is held at Ciney, the capital of the Belgian Condroz area, which is located on both the motorway and railway line running between Brussels and Luxembourg. The airports of Charleroi and Brussels are less than an hour away. 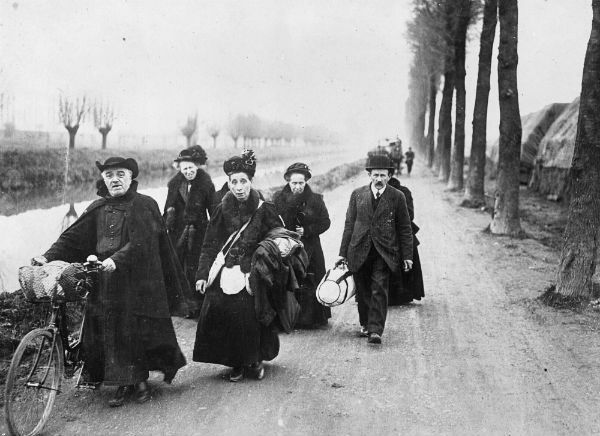 Waterways on the Western Front shows how the canals of Belgium saved millions from starving while in France they brought tens of thousands of wounded to safety. It explains how a tug boat owner stopped the Germans taking Dunkirk. It reveals the secret munitions port at Richborough, Kent – built in six months – which launched seagoing barges to supply the Ypres salient. It is also an opportunity to remember those who lost their lives crossing the canals in the war’s decisive battles. The Wellington Trust is continuing with its exhibition to help inform and educate on the role of hospital and troop Ships in WWI. The war was world wide, although many people only seem aware of the horrors of the Western front. Without these Merchant ships, mostly taken up from trade by the Government, we could not have fought the war, let alone returned all those who were wounded back to their homeland, be that in Britain, India , ANZ, or elsewhere. 1/7th of the Allied troops in France came from India, 140,000 labourers were transported from China to dig trenches, carry ammunition, recover bodies from No-Mans-Land etc. In addition to the British troops going to France, Gallipoli, and Mesopotamia, there were millions of horses to be shipped. Nine hospital ships were sunk by mine or torpedo. This spring we especially commemorate the role of the troop and hospital ships in the Gallipoli Campaign, which was the first major joint amphibious landing undertaken by the British, French, and ANZAC Armies. There were no field hospitals and all the wounded had to be evacuated to a hospital ship. Visit our free exhibition to learn more or help with your research. In the First World War music was heard on the battlefield, in concert halls, in the camps and in churches. Music reflected and affected all the emotions of war with everything from requiems to rousing choruses. Marking the First World War centenary, this exhibition takes a broad look at the relationship between music and war against the background of radical musical change. Objects on display include a wind-up trench gramophone, a tenor horn camouflaged with black paint to stop it glinting at the enemy, a burnt-out harmonica and soldiers’ song-books. You can also view original film footage of musical episodes amid the conflict, featuring British, German, French and Chinese musicians. 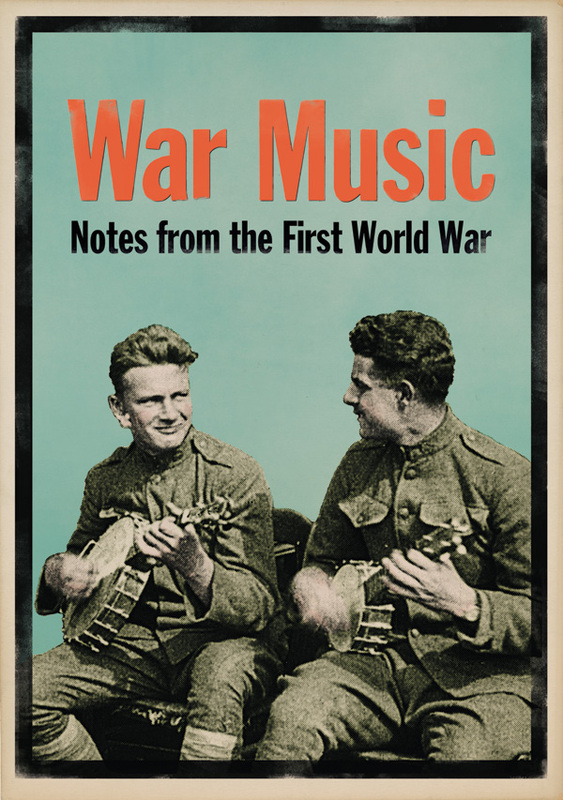 ‘War Music’ also explores the Academy’s own story during the War: discover how students and alumni fared once they’d enlisted and left London far behind.